U14’s were up bright an early Saturday morning to travel to Sevenoaks in an hunt for a playoff spot. 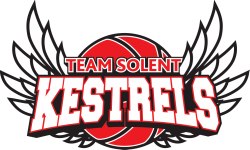 The 1st quarter got underway with Kestrels in a full court man press to try and force some early turnovers to give TSK easy fast break opportunities. Strong defensive pressure from Alice and Anna forced turnovers and led to a 10-0 run within 3 minutes. Going into the second quarter up 6, there was no time for lazy defence or poor offensive movement. On the offensive end moving the ball well enabling Lucy to get to the hoop. Sevenoaks came out with a point to prove haven woken up and began to get the ball over the half and set up a structured offence using their height to their advantage. Starting to tire, this was the prime opportunity to give the girls a break. Ruby, and Mia picked up where the others left off, pushing the ball in transition and fighting for every lose ball.